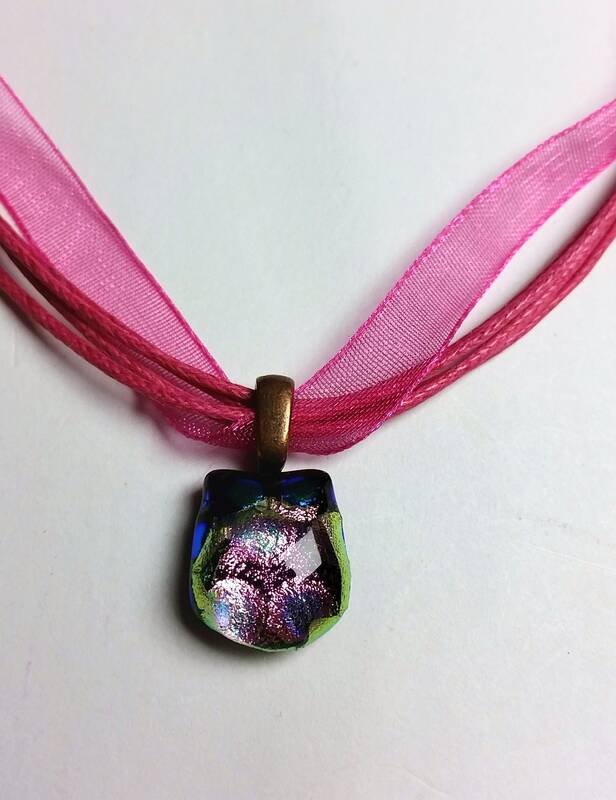 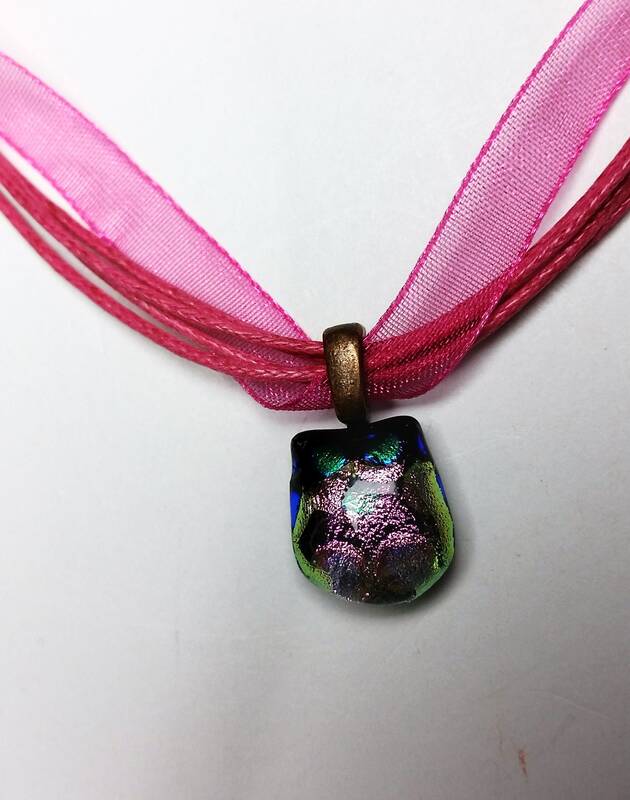 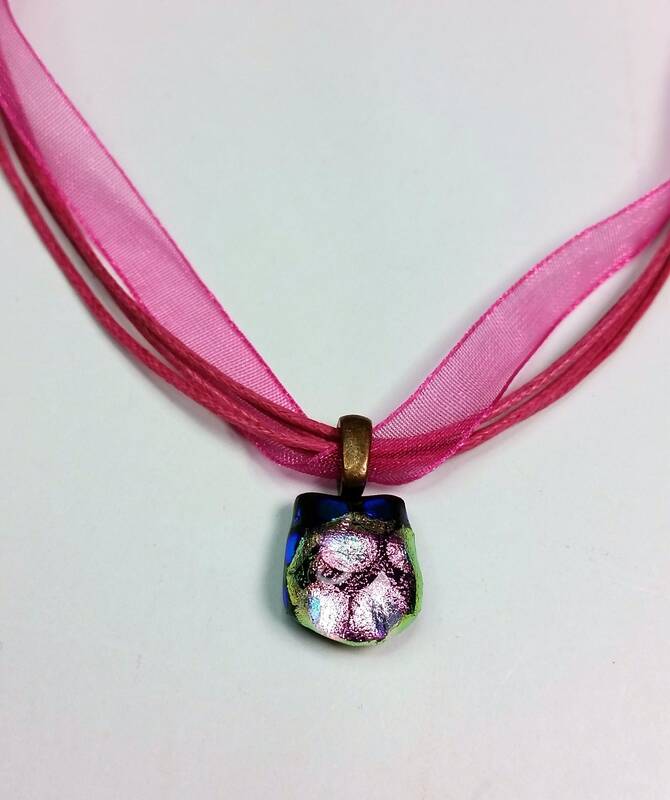 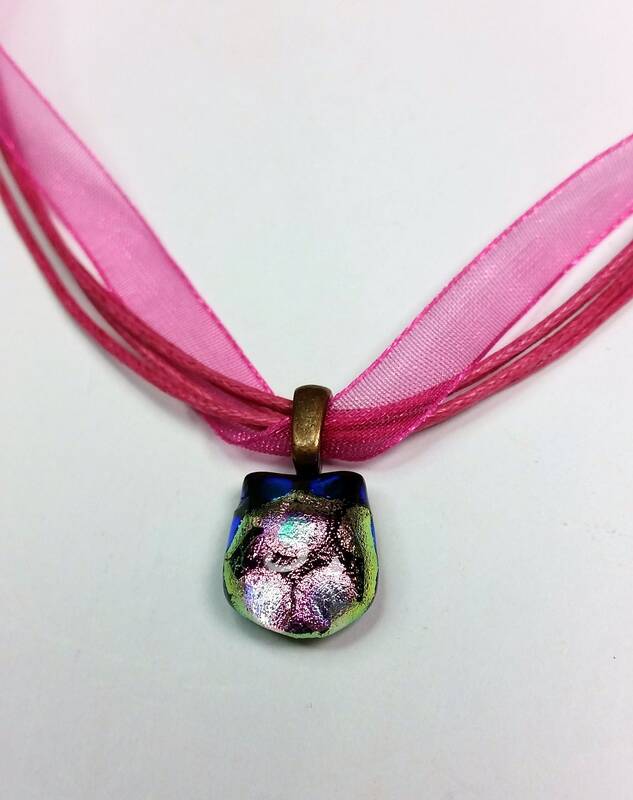 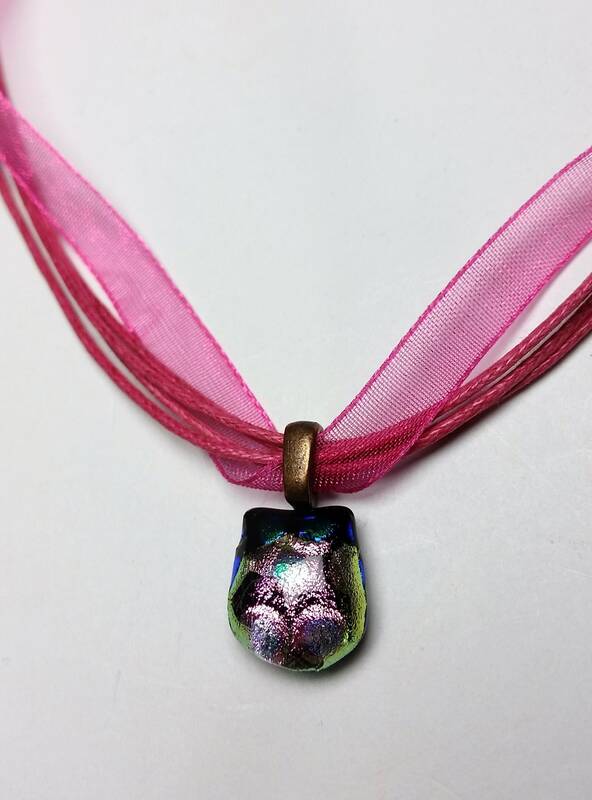 This tiny owl face shaped dichroic glass pendant will be sure to sweeten someone's day! 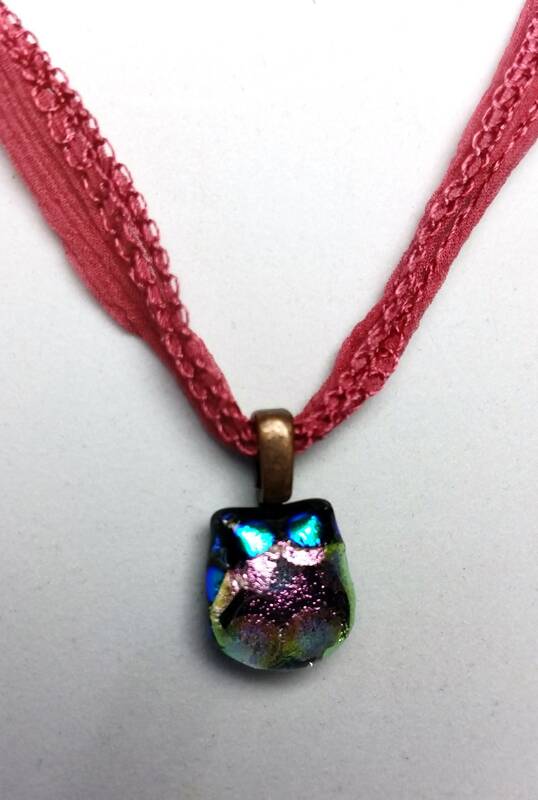 The eyes are a bright reflective blue and the body has a rainbow of metallic colors that change and reflect with the direction of the light. 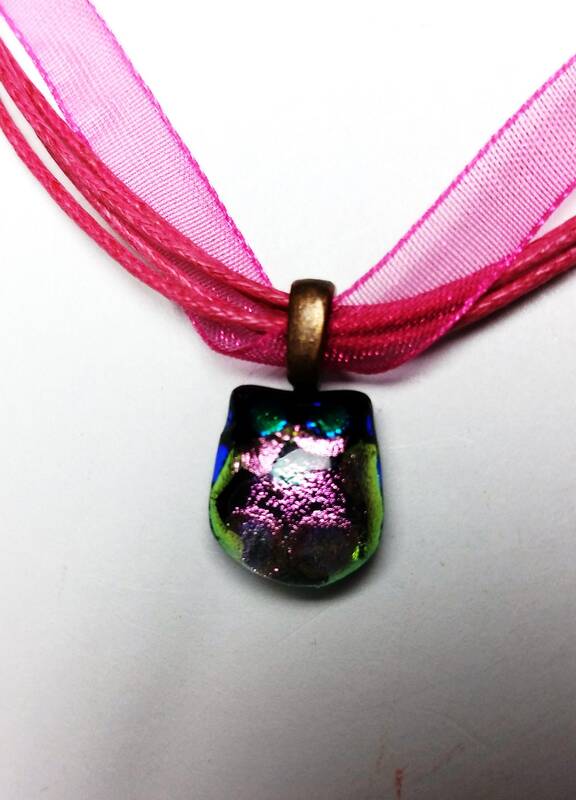 Dichroic glass is made of layers of glass usually with colored metallic material being between the layers of clear on top and black beneath. 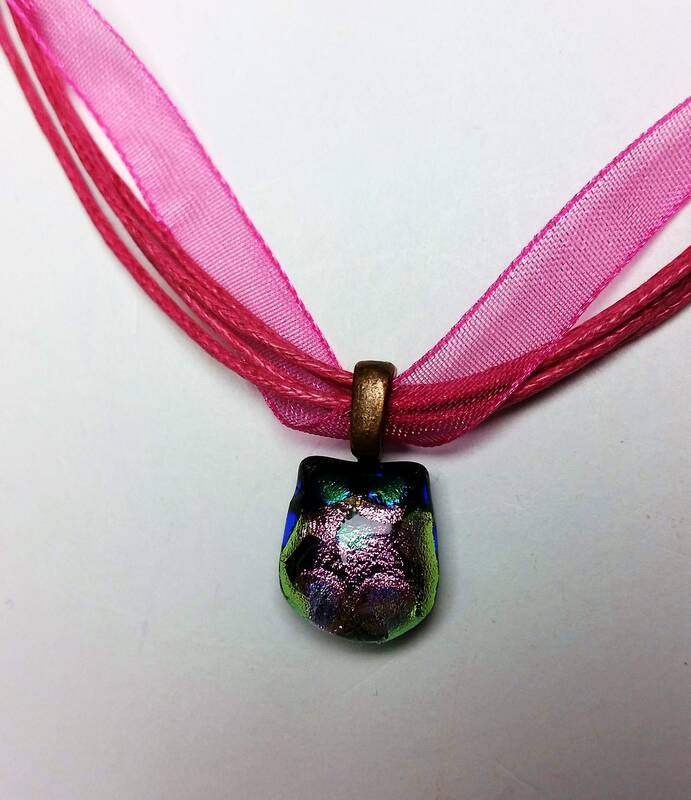 The tiny owl pendant has an antique copper bail which the rosy pink ribbon necklace passes through. 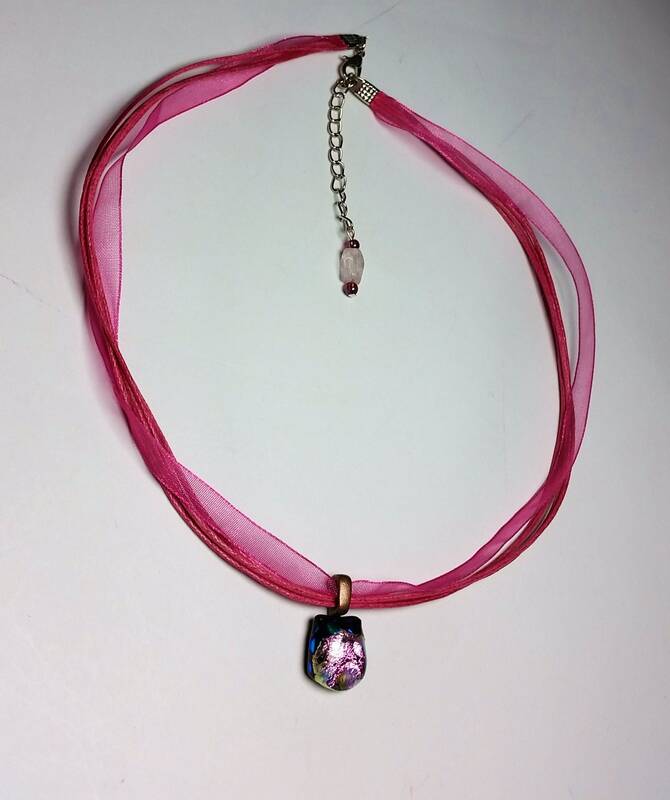 The ribbon has an extender chain so that the length is adjustable, 17 - 19 inches.